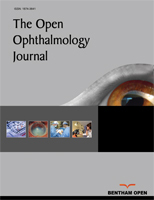 To determine the repeatability and reproducibility of Central Corneal Thickness (CCT) measurements using two different anterior segment imaging modalities, including those obtained with the new anterior segment lens attachments for the Cirrus 5000 HD-OCT.
A total of 32 eyes from 16 normal volunteers (8 male, 8 female) were enrolled in this prospective study. CCT was measured by the same examiner using the Cirrus 5000 HD-OCT and Pentacam HR. The results of CCT obtained by each method were averaged and compared using t-test analysis. The agreement between the measurement methods was evaluated. Coefficient of Repeatability (CoR) and Intra-Class Correlation Coefficient (ICC) were computed. The mean measurements taken with the Cirrus OCT anterior chamber lens (CCTAC), HD cornea lens (CCTHDC) and pachymetry scans (CCTPach) were 545.35 ± 31.02, 537.87 ± 26.82, and 532.04 ± 29.82 µm, respectively. The mean CCT obtained with the Pentacam (CCTPent) was 545.51 ± 30.71 µm. CCTPent were significantly higher than CCTHDC and CCTPach (p< 0.0001). In contrast, the CCTPent and CCTAC were similar (p=0.87). CCT, as evaluated by the two different instruments, showed excellent correlation (r > 0.98, p< 0.0001) with an ICC > 0.99 (95% CI, 0.97 – 0.99). CoR was the highest for CCTPach (3.7 ± 1.4, 95% CI (3.0- 4.6)). CCT measurements from the Cirrus OCT using the new anterior segment lens attachments and the Pentacam HR are highly correlated. This should allow the use of a standardized correction factor if necessary to inter-relate the measurements between the two devices. Keywords: Cornea, Central corneal thickness, Imaging, Optical coherency tomography, Pachymetry, Scheimpflug technology. © 2018 Baghdasaryan et al.